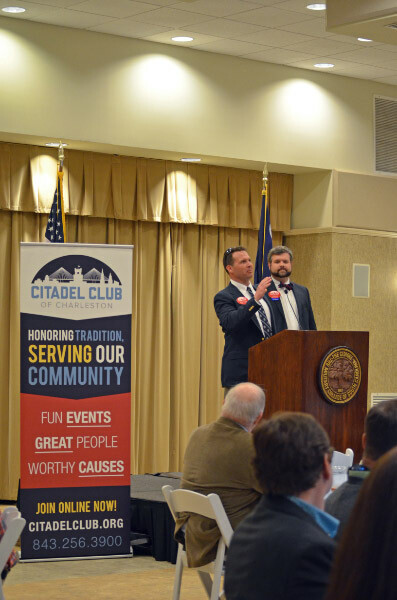 Current Membership to the Citadel Club and the Alumni Association (CAA) for 2015 & 2016 is Required to be eligible for a Directorship. Application Period for 2016 Directorships is ending soon! Apply NOW! Do you want to Make YOUR Club Better? Apply to be on the Board of Directors! Your Club needs help! We need new ideas and energy! Being on the Board is easy and simple, we meet 2-4 times per year in person, usually directly before or after a club event. Regular attendance to most of these meetings is required. We also have 1-3 conference calls if a need arises between in person meetings. Major Events - Oyster Roast, Muster, Pre-knob Sendoff, Bulldog Boil, End of the Year Banquet, etc. Directors give a status report at each meeting on their projects as well as working directly with the Executive Director to accomplish their goals! Is an exciting and fulfilling way to get involved and really offer benefit to not only the community but to improve your alma mater as well! THIS IS NOT A PHYSICAL EVENT (we're simply using this software function) - THE DATES ARE INDICATIVE OF THE POTENTIAL CLOSE OUT OF THE APPLICATION PERIOD. A PHYSICAL EVENT WILL OCCUR BUT THAT WILL BE A DIFFERENT REGISTRATION PROCESS. Register here to be included on the ballot!